October 28, 2015 – Press Release – New York, NY –Sichenzia Ross Friedman Ference LLP (“SRFF”) announced today the Firm has represented Oasmia Pharmaceutical AB (NASDAQ: OASM) (NASDAQ Stockholm: OSAM.ST), a Swedish biopharmaceutical company focused on developing innovative treatments within human and animal oncology, on the company’s U.S. underwritten public offering of American Depository Shares (ADSs) and warrants to purchase the company’s ADSs at an offering price of $4.06 per ADS. Each ADS represents three shares of the company’s common stock. Oasmia raised approximately $9,500,000 in gross proceeds. Proceeds from the offering will be used to fund new clinical trials for Oasmia’s product as well as fund production development and general corporate purposes. SRFF successfully advised the process by which Oasmia listed its ADSs on NASDAQ. The ADSs began trading under the symbol “NASDAQ: OASM” effective October 23, 2015. This marks the first Swedish uplisting to the U.S. NASDAQ capital markets. Additionally, Oasmia has recently begun selling its lead cancer treatment, Paclical, in Russia. 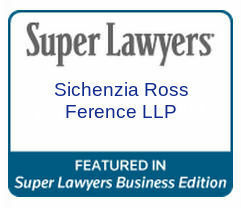 The Sichenzia Ross Friedman Ference LLP team was led by Partner Gregory Sichenzia and attorneys Henry Nisser, a native Swedish speaker, and Peter DiChiara.